This is a post I wrote some time back, that was never published. It was to summarise all the women I blogged about on the Creative Women’s Circle website back in 2015. When I read last night, that some of Georgia O’keeffe’s paintings are to be exhibited at the Heide MOMA in Melbourne, I thought it would be timely to share my thoughts on this incredible artist. I am really keen to see this work in the flesh. In the October 2015 issue, Vogue did the most beautiful, in depth, multi page spread, inspired by Georgia’s life and work. It was shot on location, at her former Ghost Ranch home in New Mexico. A friend on instagram posted about it and I was instantly intrigued. I went and bought the magazine, and then cut out the entire section and stuck it all over the walls of my studio. That is how taken I was. I found instant appeal in everything about Georgia O’Keeffe, her life and her work. The more I researched Georgia, the more I realised how many things she had in common with the other creative ladies I have written about over the past year. So, I decided as this is my last post in this series it might be interesting (and helpful), to depart from my usual blog lay out and instead of focussing on just Georgia herself, to do a kind of blog post summary. Picking out the character traits shared by the successful women I have written about so far this year. This past year I have posted about six, iconic, creative ladies. All who have “moved” me some way and who I could relate to somehow. Hilla Becher, Marina Abramovic, Patti Smith, Dame Rebecca West, Dorothea Tanning and now Georgia O’keeffe. It has been a helpful exercise for me and a welcome diversion from my late night painting sessions. I hope these posts have encouraged you in your own work and have been insightful and timely for you. So here we go, here are some of the “common traits” shared by the successful creative women I have written about in the past year. Georgia O’Keeffe, along with all the other aforementioned women, had experiences in her developmental years which set her apart as an outsider. For her it was the move in her teens from a hard working rural lifestyle in Wisconsin, to a more urban lifestyle in a township in the American South. The attitude in her new environment was different from what she was accustomed to, particularly towards the keeping of slaves and the roles genteel women ought to fill in society. Georgia consciously chose not to try to adapt or fit in to her new surrounds. She came from a large family that championed personal independence and hard work. She had parents who allowed her personal freedom and she wasn’t about to give that up to become a “southern belle”. When she set her mind on being an artist, it was the expectation that if that was what she wanted to do in life, then with dedication and persistence, she could make that happen. All the other artists had similar experiences of being different or misunderstood in their formative years. Simply being female and having career ambitions, set these women up as outsiders. They all challenged gender stereotypes and paved the way for creative women like you and I. Perhaps being an outsider means you get to hone in on this skill. When you are alone often, or at least alone in your ideas, a sense of independence is fostered. The ability to be independent is an important one for an artist. Regardless of whether or not the women I wrote about married or had children, it seems to be that a successful artist is one who acknowledges the need to be able to have a certain amount and kind of independence and freedom. The decision to marry or have children has not defined them alone or affected their success. More importantly, it is the priority that is given to the act of being an artist, and how the creative process is valued within the broader context of their life that has affected their ability to be productive. It is interesting to note that Hilla Becher, who was an equal collaborator on her work with her husband, and Marina Abramovic who, (for many years), used her relationship as the subject of her art, still maintained an independent outlook on the work itself, and sense of autonomy as artists. Even from within the context of the relationship. Being an artist has been of the highest importance to all these successful creative women. 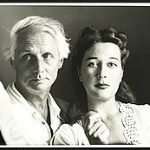 Georgia O’Keeffe is an example of this commitment and her sense of independence, as she took herself off to live many months a year away from her husband, while she painted. It seems that the making of art is a bit like a third partner in a relationship, and for a relationship to be successful, that this intrusion must be acknowledged and accepted. This can be a big ask and maybe it is why artists are notorious for having failed relationships. It seems not everyone can get the creative/relationship balance right. 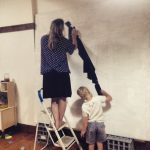 To maintain artistic independence, however, it is crucial to be able to separate the life of the relationship from the internal life of the artist. A lifetime of focus on one’s craft requires the work to come from a place of true passion and commitment and the one thing surely feeds the other. Georgia worked very hard as a student to improve and perfect her skills as a painter. She, along with all the other artists I have written about, honed their skills after many hours of practise. Lifetimes of practise making perfect. They also changed their focus along the way when need be, they were all innovative at times and at times they stuck to their guns. They did not listening to the voice of the crowd or the mainstream. Georgia along with her successful peers, all had times when their work was not popular, or they were at standstills in their careers. It was never smooth sailing all the way. The voice of Patti Smith will forever resound my head, the advice to do your best work, always, to let the work speak for itself. 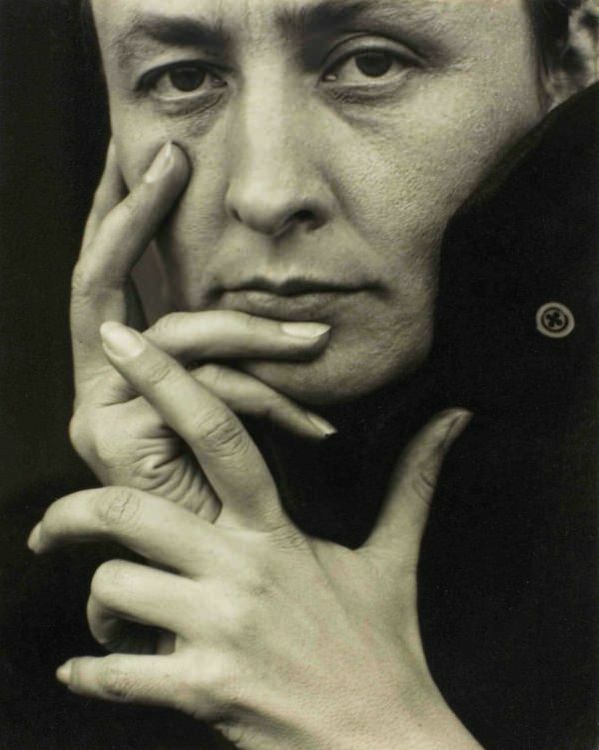 Georgia O’keeffe painted subject matter that appealed to her and sought to paint what was not being painted. Her bone and landscape works were a departure from the traditions of the day, as were her painted New York skyscrapers, which were considered ugly at the time, yet now these images are iconic and appreciated for their uniqueness. Georgia O’Keeffe had a simple way of checking in on her focus. She had a book with a yes column and a no column. 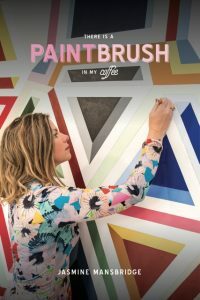 If she was making a decision she would simply write in her book whether or not her ability to paint would be affected, if the answer was yes, her answer was no. How black and white is that? In a world full of distractions it is a choice we make as artists, to prioritise time to work creatively. Promoting “rule breaking” seems to be everywhere this year, but seriously, every one of these women were just that, rule breakers. They went against the grain in some way, and did things that often did not make sense at the time. I am sure there would have been eyes rolling when Hilla Becher and her husband Bernd began taking photos of old decaying structures and Marina Abramovic had her mental health questioned many a time. Patti Smith broke all the rules, with her combination of rock and poetry. All of these ladies, defined convention in some way, but it was never just for the sake of it, it was in pursuit of their art. And often for a fairer and more equitable system for creative women, (we still have so far to go here!). For me this “rule breaking” motto means that I refuse to fit a particular stereotype which may be set out for me. I am a mother and an artist, and I am constantly assessing how this works best for me. How do you make your way as a creative? Are there “rules” you need to break in order to achieve your potential? All of these women have not only had long careers, but long lives to match. Dame Rebecca West lived until she was 90, Dorothea Tanning lived until she was 101 and Georgia O’Keeffe until she was 98. Hilla Becher died only recently in 2015 at age 81. Marina Abramovic is 70 and is still creating and making new work, and Patti Smith is working on a new book to follow on the heels on M Train. So, there is something to be said for living a life with a high output of creativity and its link to longevity and productivity. All our creative heroines suffered rejections, sickness, personal loss, criticism, being overlooked, misunderstood, misjudged etc .. at some time or another. The difference between these ladies and the ones we have never heard of, is that they were resilient, (some are still resilient). They just kept going, kept trying, kept doing their best work. So, as this year thunders to a close, and we come to that place of contemplation about the year gone, and the year ahead. I encourage you to think about some of the common ground these ladies shared. Do you recognise any of these traits in yourself, would you like to develop some of these traits? I know it has been an encouragement to me to learn about the journeys of these creative women, and it has benefited me in my work, to spend time learning from their stories. I hope you have a wonderful, thoughtful Christmas and New Year, with time to consider your creativity and what it means to the world around you..